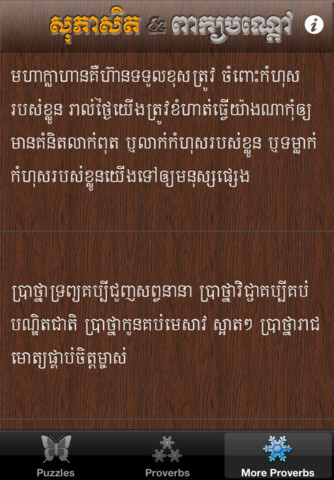 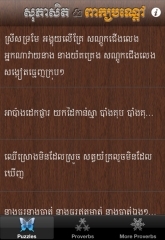 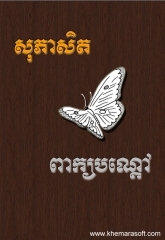 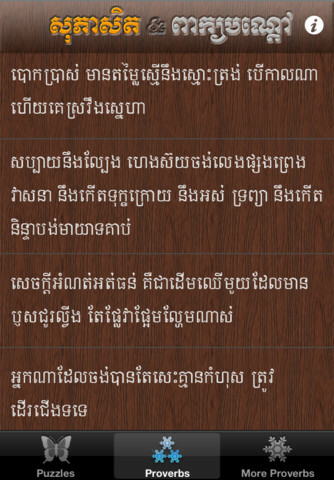 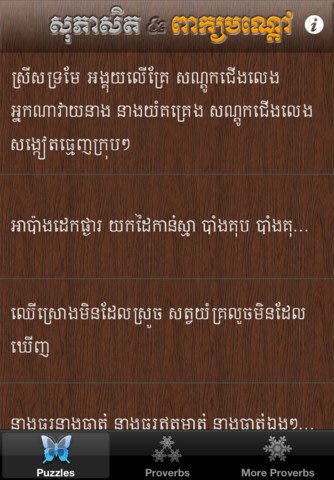 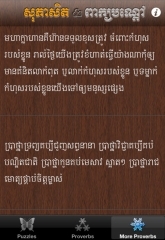 Khmer Proverbs, Word Puzzles, idioms, Quotes, sayings in Khmer Language are combined in this Application. 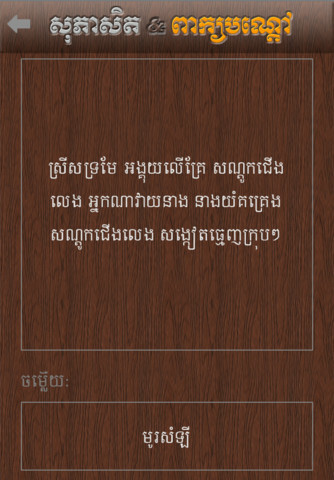 It’s a perfect Application where you can find inspiration when you need it, helps you motivate a friend when he or she needs it and where you find the most famous. 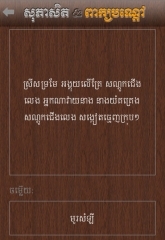 Be the life of party with this educational application. 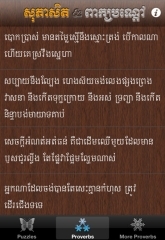 I want for your help.